Susan Calloway Knowles, is a licensed Psychotherapist and former practicing Family Law Attorney, Author, Host of “Stand For Truth” radio show and Contributor to TheBlaze. 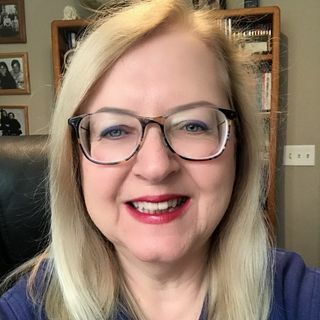 Reality Check with Susan Knowles for 4-25-19 - High Crimes & Misdemeanors? Reality Check with Susan Knowles for 4-22-19 - Pompeo has a big announcement for Iran! Reality Check with Susan Knowles for 4-18-19- Will protesters finally get it? Reality Check with Susan Knowles for 4-17-19 - Sexual Harassment in Congress, Again? Stand For Truth Radio is the conservative voice of news and politics when you want to hear the truth. Join Susan with an exciting array of popular guests to discuss issues important to you. Susan Calloway Knowles, is a licensed Psychotherapist and former practicing Family Law Attorney, Author, a Contributor to TheBlaze, Host of “Stand ... Más informaciones For Truth” and a political/cultural Blogger. Susan is also an avid investigative researcher having honed her skills in the legal profession. Susan’s website, SusanKnowles.com, covers articles she has written on an array of topics, including governmental interference of U.S. Constitutional rights, military and veterans’ issues, issues pertaining to California from the viewpoint of a conservative living in a Blue State, and other hot topics in the news.